Pinot reigns supreme at Anne Amie Vineyards with Pinot Noir, Pinot Gris and Pinot Blanc forming the heart of our production. Complementing the pinot family is Old-Vine Estate Riesling and Müller Thurgau, planted in 1979. 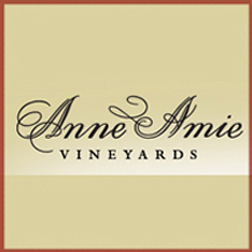 Anne Amie vineyards are located in the rolling hills of the Yamhill-Carlton District and on the steep hillsides of the Chehalem Mountains, both nestled in Oregon’s verdant Willamette Valley. Willamette Valley is one of the most important AVAs in the U.S. outside of California. It covers 3.3 million acres in the 120 miles between the cities of Portland and Eugene and is home to several highly regarded sub-AVAs. The Willamette Valley became an AVA in 1984. Between 2004 and 2006 six new AVAs were created within Willamette Valley to celebrate the diversity of the terroirs. Most of the region's vineyards can be found on the many hills in the valley, where the soils are less fertile and there is less risk of frost. Willamette Valley growers focus their attention on producing high-quality Pinot Noir and Pinot Gris grapes but Pinot Noir is the star performer, producing world-class red wines that have been compared with their counterparts in Burgundy. New varieties getting attention are Pinot Blanc and the new Dijon clones of Chardonnay.